Yes, we do that too! 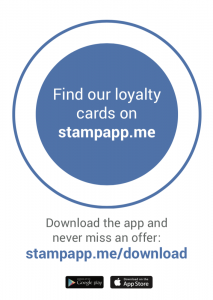 Even if you sign up for the free app and nothing more we still send you a small pack containing promotional material to show off your new loyalty card app in your store and get customers using it! But if you can’t wait that long, you can download print-ready files below and have them made up yourself. 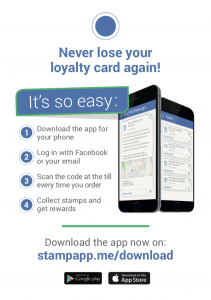 Don’t have the app yet? Get it here?